We have been getting some really fresh spinach these days at our local farmers market & I love to stock up on my iron when it’s available in abundance. 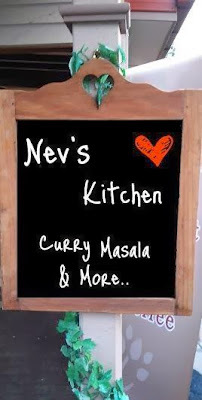 Bringing you a lovely corn- spinach curry, only from Nev's Kitchen! Here is a video demonstration of the recipe. Please leave your feedback. Wash and dry the spinach leaves. Place them in a deep sided pot or pan and cover with a lid. It will take about 2 mins to wilt down. Let it cool while you make the gravy. Once the spinach is cooled make a puree of the spinach by blending in a blender. Do not add water while blending. Blend the onion, chilies and cashew nuts to a coarse paste.If you don't like it too not, skip the chilies or de-seed and then blend. In a deep sided pan add oil. Once hot add the onion, chili & cashew paste. Stir continuously for 2-3 mins, on a medium flame, making sure nothing sticks to the pan. Next add tomatoes,ginger-garlic paste, turmeric, salt, chili and coriander powder and cook them down to half their volume. You can partially cover the pan. This will take 7-10 mins, add a few tbsp. of water to avoid sticking of the mixture. Keep an eye on the mixture & stir occasionally. Next add the garam masala and mix well. Now add the corn and spinach puree. Mix well. Do not cover, keep mixing till everything is well incorporated. Let it simmer on very low heat for another 3 mins. Squeeze some lemon juice before serving. 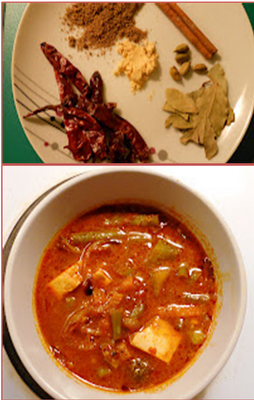 Serve with Naan or roti.